Bread Hand Fans Design Bread Hand FansCustom lanyard are the most popular and economical lanyard we have, these polyester lanyards are perfect for conferences, trade shows or as identification for building entrances. You can choose between one of our basic lanyard attachment free of charge that include an J-hook clip, Lobster clip and Heavy duty trigger clip, and Badge Holder options attached with it. 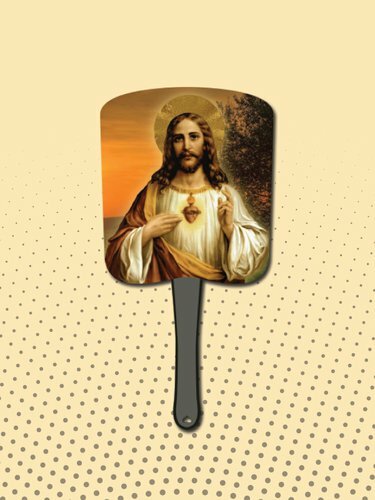 Our Bread Hand Fans will keep your congregates cool during the outdoor hot weather and take your religious mission to the worldwide level serving your purposes. They will be tokens of appreciation for the attendants at the event and will show them that you care about their comfort. You can adorn these bread shaped fans with your favorite religious scriptures that will make them interesting promotional items. Similarly, they will be perfect keepsakes with your personalized message that will be viewed and read by the attendants of the congregation. They might even be used on hot days long after when people need them for relief from heat.